Get to know the neighborhood with an apartment for rent at Park Place at Maguire. 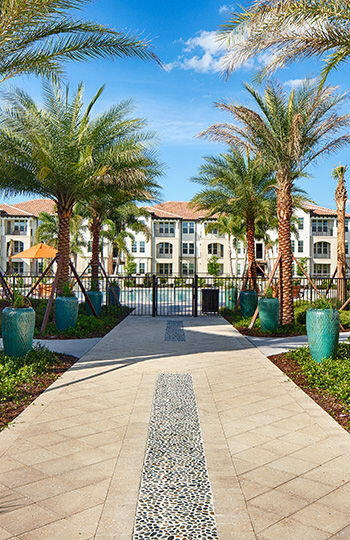 Our Windermere, FL, apartment community is close to your favorite local attractions. Major thoroughfares, employers, and an exceptional public school system can all be found only moments from our community. We keep you connected to the best that the Upper Westside has to offer. Getting around is easy when you live at Park Place at Maguire. Experience the ease of luxury apartment living at Park Place at Maguire. Visit us soon to learn more about 1, 2 & 3 bedroom apartments for rent in the Upper Westside. Conveniently located between Ocoee and Windermere, Florida, Park Place at Maguire provides easy access to SR-50, the Florida Turnpike, the 408 Expressway, and I-4. Our luxury community is situated in a residential area with A+ schools, and only minutes from hospitals, shopping, dining, and recreational activities.